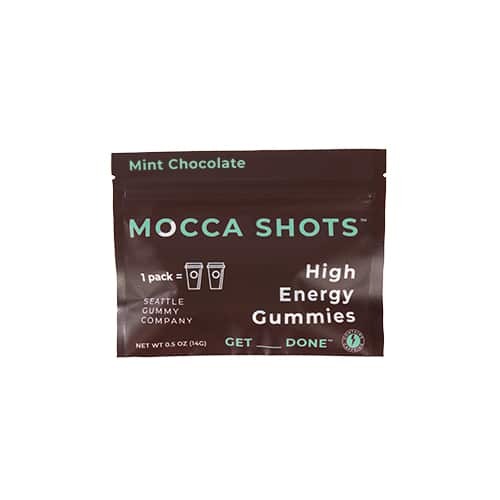 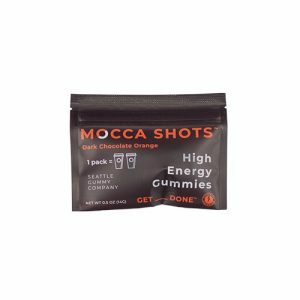 100mg of caffeine per gummy, 2 gummies per pouch. Caffeine increases alertness, focus, cognition and attention but often with jittery side-effects. 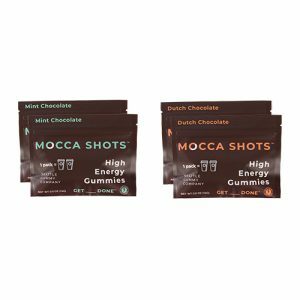 Research shows that caffeine and cocoa together do the same trick but with enhanced focus and reduced anxiety. The combination results in a clean and focused energy without the jittery feeling associated with other caffeinated products.